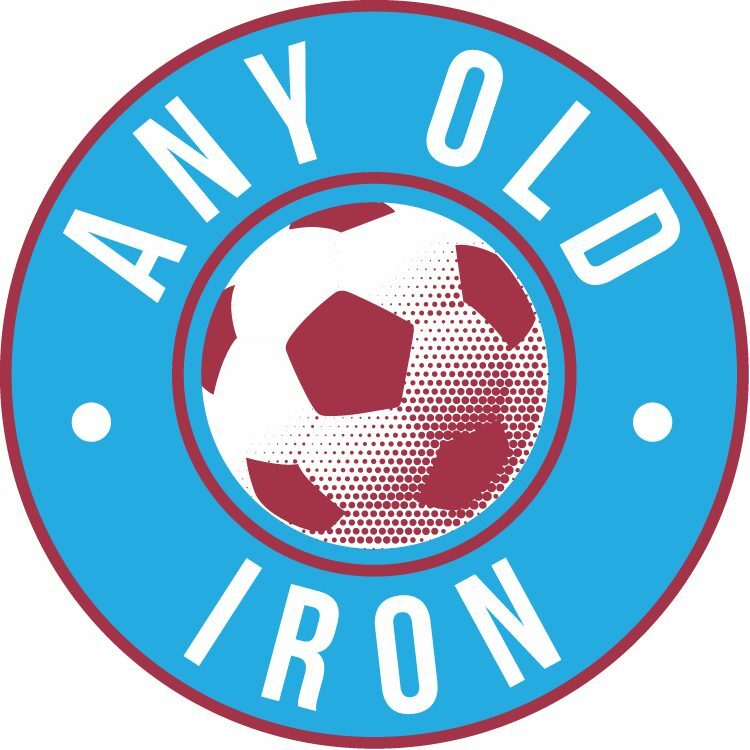 Following the success of our previous one for the AFC Wimbledon cup game – the Any Old Iron are treating you to another Inside Fan Preview. This time, it’s for the Iron’s clash against Carlisle United at Glanford Park this Saturday. And all our thanks go to John McGee from http://keithmincher.blogspot.com/ for being kind enough to complete this with us. John also tweets at https://twitter.com/#!/epouvantail ( @epouvantail ). So we kicked it off with answering John the 10 crucial questions, hope you enjoy! I was a Leeds fan as a kid, so my first ever Carlisle memory was of Noel Whelan scoring in a friendly at the Warwick Road End in about 1994/1995. I’ve followed Carlisle in varying degrees since then, but more and more since I’ve moved away from Cumbria. My favourite early memory is of Scott Dobie’s late winner against Chester City to keep us up – when we had 9 men. 2) What’s it like being a Carlisle fan who lives 300 miles away? The cons are obvious I guess – I get to so few home games. It doesn’t help when the fixture computer spews out away games over Christmas, as it has done this year. My missus hates football and is up in Cumbria this new year, so I might have to miss our home game on January 2nd too. Stuff like that happens all the time! That said – there’s something to be said for following games blind. Looking up the scores after a journey on the tube is enjoyable in itself, and still gives me a warm glow inside when we’ve won. There’s also an excellent little Carlisle-exile community in London as well. We travel to away games together, and some home games as well where possible. We also host socials with ex-players – there’s no equivalent in Carlisle itself. 3) What do fans think of manager Greg Abbott? He’s the Carlisle United version of Schrodinger’s Cat. Those who dislike him really hate him, and whilst I feel they’re declining in number and influence – they’re still the noisiest and move vociferous. That said, he doesn’t help himself. He often behaves like a total berk with the media, and has a tendency to bury his head in the sand tactically. But he’s definitely brought improvement year on year, built a squad which is able to adapt, beat most teams in the division – and won us the Johnstone’s Paint Trophy last year. I also think he cares, perhaps too much, and you can’t put a price on that in modern football. 4) Where do you think you’ll finish this season? Thankfully, I let my head rule my heart on this issue. I think we’ll finish in the top 10, but outside the playoffs. We’re just a little short on quality, and the league’s “Bloc of 5” at the top, look impenetrable already. For champagne moments, it’d definitely be getting back out of the Conference back in 2004/5. There are so many great memories from that year – least of all coming back from the dead against Aldershot in the Play-Off semi-final penalty shootout. Many fans would go for the following season: a true “annus mirablis” – achieving successive promotions as we stormed to the League 2 title, and got to the final of the Johnstone’s Paint Trophy. But to be honest, I prefer our ill-fated League One play-off run myself. We had such a great team – Danny Graham & Keiren Westwood are now playing in the Premier League: but even the likes of Marc Bridge-Wilkinson and David Raven played out their skins that year. I still think we had the best team in the league, and that our then gaffer John Ward, (now in charge of Colchester), bottled it during the run-in. 6) Your opinion on Scunthorpe United? I’ve always had a soft spot for Scunny. You play the right way, and I’ve admired from afar your approach to player recruitment – Scunny’s lower league conversion rate – (Hooper, Sharp, McCann, Woolford, Hayes etc), must be among the best in football, there’s plenty to like about that. But I’ve been surprised by your poor showing so far – I thought Knill had a great off-season recruitment wise. Ryan and Mozika looked particularly good signings and I would have driven Nicky Ajose to Brunton Park myself. Shame it hasn’t clicked yet, but I’m sure it will. Lee Miller. The man is a collosus. He’s involved in everything good that we do. Most fans would say our left back Matt Robson – who was a converted winger last year, but I’d disagree. He’s occasionally caught out of position up field, but then aren’t all full-backs at this level! He’s improved hugely this season. Right now it’s scoring goals – largely due to a lack of cutting edge and dynamism in midfield. Miller’s holding it up, Loy & McGovern are providing the bullets – but no-one’s there to fire them in at the moment. It’s so frustrating, especially considering we scored so many from midfield last year. 9) How do you think Saturday’s game will go? I think it’ll be very tight. We’re not scoring many, but we’re not leaking many either. A bit of quality, or a sloppy mistake either way should win it. 10) And finally, let us something we don’t know about Carlisle United Football Club! You probably know our mascot is a fox called Olga. But you probably don’t know that, in the 60s & 70s, Olga was a real fox who was paraded around the pitch by her handler “Twinkletoes” before every match. The real Olga was then stuffed when she died and donated to the football club. The current incarnation of Olga, places the stuffed fox on the centre spot before every game. Never, ever – in all my years of watching football, have I seen anything like it! Hope you all liked our Inside Fan preview ahead of the Carlisle game, by fan John McGee from http://keithmincher.blogspot.com/ John also tweets at https://twitter.com/#!/epouvantail ( @epouvantail ). And if there are any fans of any of the clubs the Iron play soon, (Exeter, Bury etc), and you’d like to do an Inside Fan Preview yourself – then don’t hesitate to Contact Us.